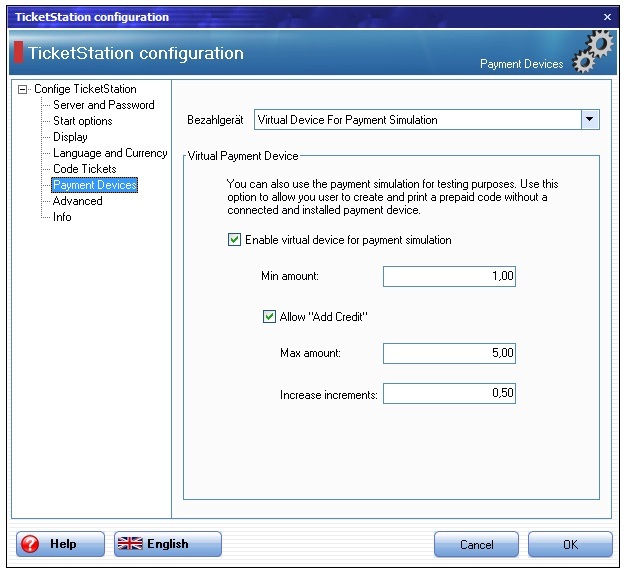 TicketStation turns a computer into a ticket machine! 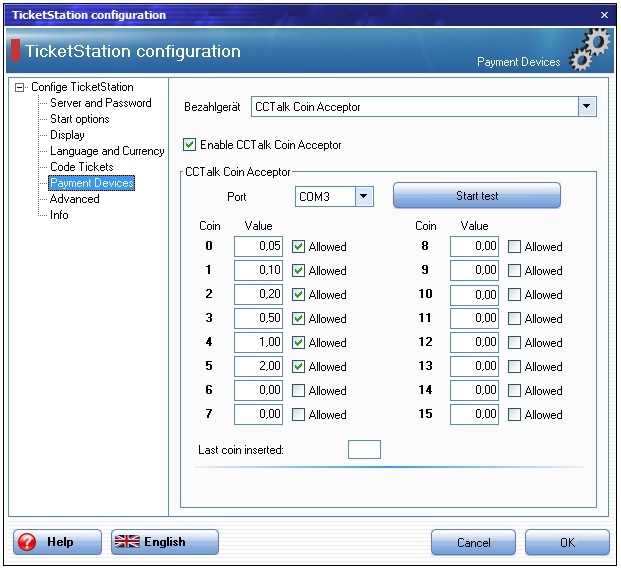 The TicketStation turns a computer into a ticket machine and allows your user to create a Prepaid-Code equal to the deposited amount. 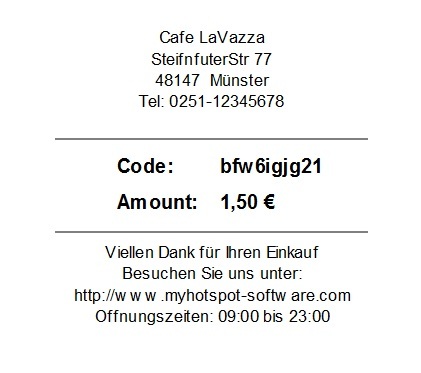 The guest can redeem this PIN-Code at SiteCharge Clients or wirelessly over Hotspot. The TicketStation will automatically be added under Ticket terminals list in Server Manager. 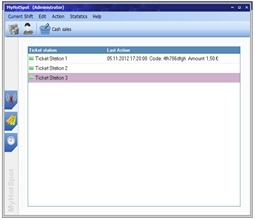 The image to the left shows an example of using TicketStation at Hotspot Server. TicketStation supports connections of unencrypted ccTalk Coin acceptor and Bill validator. The TicketStation was successfully tested with Coin Acceptor EMP 800.14 USB (WhBerlin) and Bill Acceptor NV10 USB (Innovative Technology Ltd (UK)). 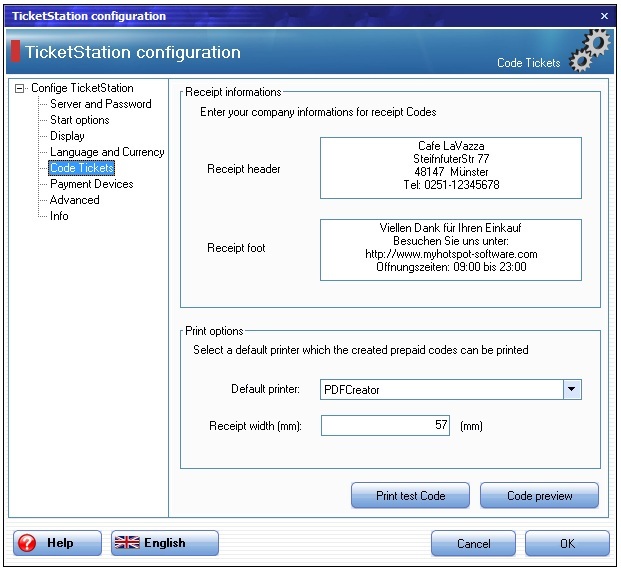 You can test the functionality of TicketStation or allows your guests to create and print a Prepaid-Code without having a payment device. 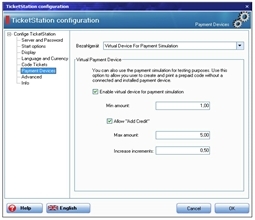 TicketStation create a Prepaid-Code equal to the deposited amount. 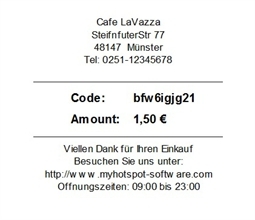 The guest can redeem the printed Prepaid-Code at SiteCharge Clients or wirelessly over Hotspot.